For over 75 years, the Jeep brand has been synonymous with reliability, adventurous spirit, power and utility. With so many years of production history behind the brand, it’s not surprising that plenty of pre-owned Jeep models are currently available in the automotive market. Continue reading to find out more about the best way to shop for used Jeep vehicles in Calgary, AB. It’s no secret that SUVs are in abundance in the automobile industry, but Jeep’s SUV models are consistently praised for their quality. Every 2019 Jeep model specializes in a different area. The 2019 Jeep Cherokee has exceptionial towing and off-roading capabilities, while the 2019 Jeep Compass is spacious and full of intuitive technology features. 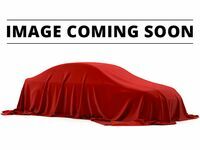 Where Can I Find a Used Jeep Near Me? 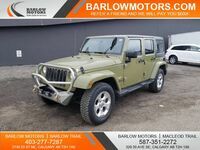 Barlow Motors is the best place in Calgary, AB to purchase a pre-owned Jeep vehicle. Shopping around for used vehicles is a great way to find recent Jeep models being sold for affordable prices. 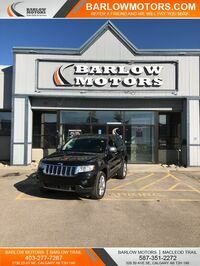 Featuring two Calgary locations, one at Macleod Trail and one at Barlow Trail, Barlow Motors has been providing drivers with great deals for pre-owned Jeep vehicles since 2010. Our inventory is constantly changing, but drivers can keep up to date with our available Jeep inventory by checking our website or by calling our team of experts at 587-351-2272 (Macleod Trail) or 403-277-7287 (Barlow Trail). Barlow Motors also offers in-house financing, with special options available for drivers looking to improve their credit rating, are experiencing bankruptcy or are self-employed. Jeep’s current model lineup includes the 2019 Renegade, 2019 Gladiator, 2019 Compass, 2019 Cherokee, 2019 Grand Cherokee and 2019 Wrangler. Every 2019 Jeep model comes standard with an overwhelming amount of standard interior features, cutting-edge safety and driver assistance systems, powerful engine options and striking exterior design elements.